In recent months I have been making an effort to teach my kids to recognize and name common 3-D shapes like sphere, cube, prism, etc. But my goal has been to teach these shapes entirely through play, rather than through any sort of boring or rote method. 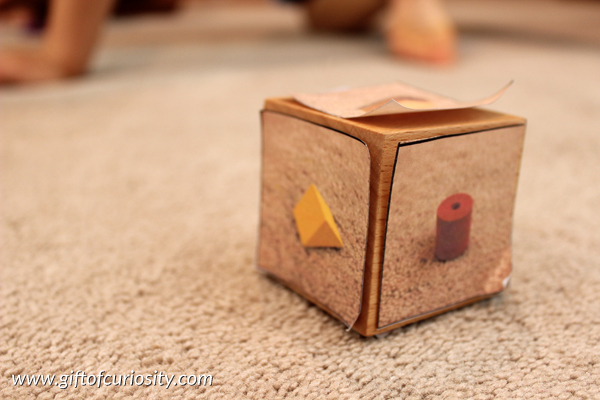 In a previous post I shared some playful ways I have been teaching 3-D shapes. 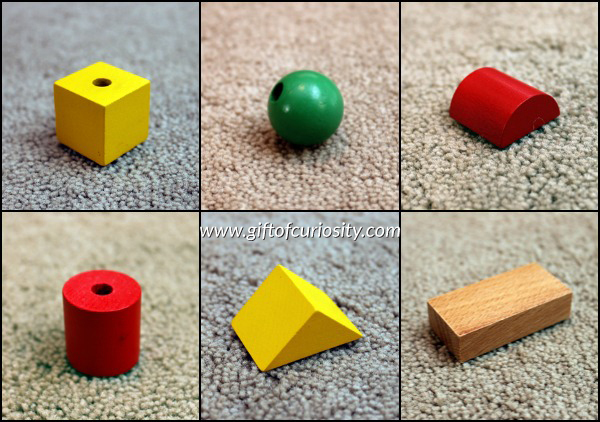 I’ve also shared a fun game where my kids identified 3-D shapes by touch and an activity that focused my kids on the surfaces that make up various 3-D shapes. 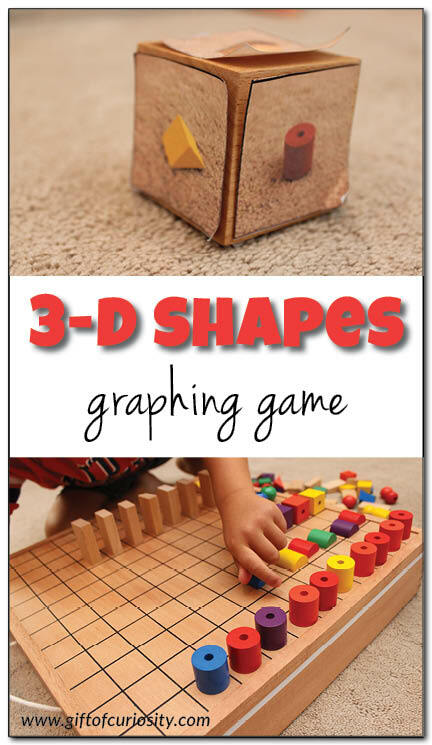 In this post I’m sharing a 3-D shapes graphing game we played that reinforced the names of six different 3-D shapes while also working on basic graphing skills. 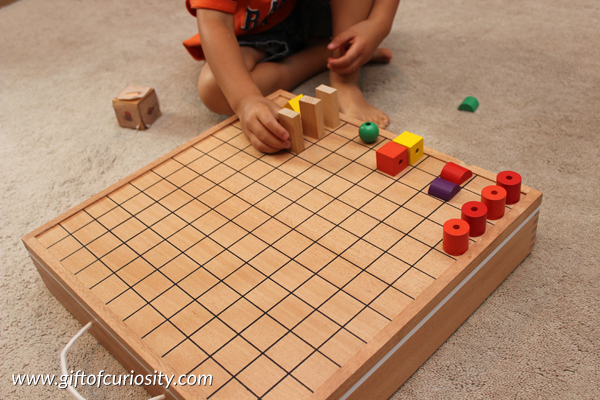 Note: For more playful ways to learn about shapes, see my teaching shapes to kids page. For this game, I selected six different 3-D shapes to focus on. All of the shapes were found in our Spielgaben set. I took a picture of each of these six shapes and printed them out on on our computer. We then cut them to size, and taped each of the six images to the side of a large wooden cube from our Spielgaben set. 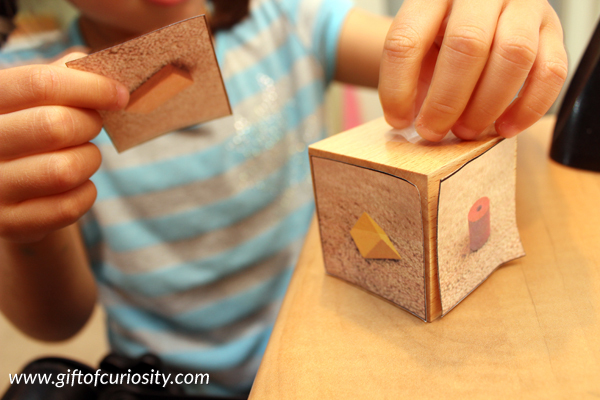 After taping a shape to each of the six sides of our large wooden cube, we created a dice. 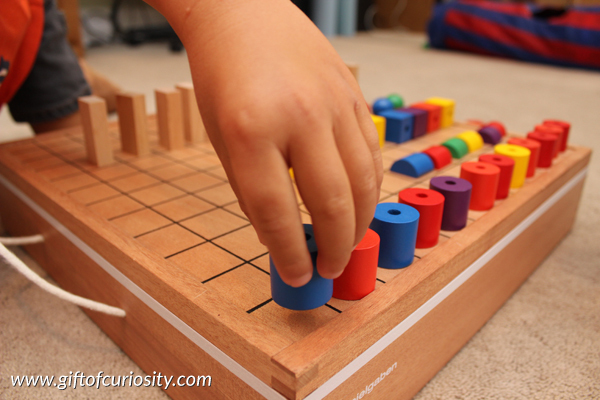 But our dice had shapes on the sides rather than numbers. Fun AND educational. . . just the way I like it!